First things first – it’s pronounced ZAY-toon. My grandma got it for me for Christmas this year. I’d seen it around, and you probably have too – and Zeitoun is good! I’ve read just one other Dave Eggers book (What is the What) and didn’t adore it, but he is the editor of McSweeny’s (the best website ever, aside from Eat Run Read of course), so I gave him another chance. Well that’s fitting (in light of my recent reading) now isn’t it? Though as I read, I didn’t really see Dickensian similarities – I thought Zeitoun and Bleak House were complete opposites, but both really good! Zeitoun was quite the page-turner (I turned all 359 of them in 3 days). 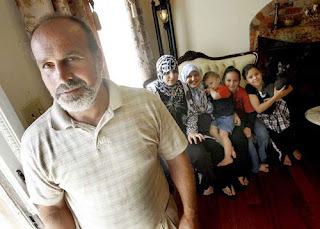 It’s the story of a Syrian immigrant, Zeitoun, married to a Louisianan (who converted to Islam). Their family lives in New Orleans and runs a contractor business. 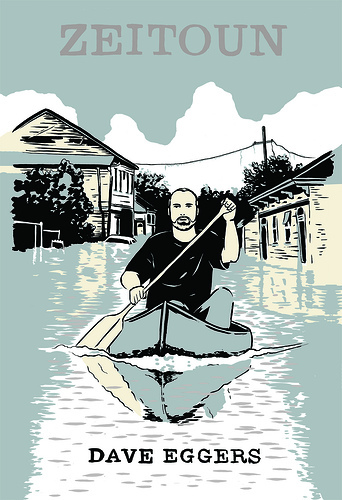 When the storm comes, Zeitoun stays in the city while his wife and children leave…and you’ll just have to read the book to learn the rest. I highly recommend this book – read it and let me know what you think! Go here for info on the Zeitoun Foundation.